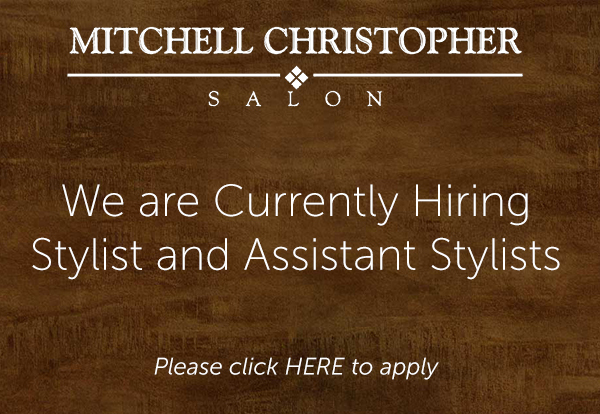 MITCHELL CHRISTOPHER SALON located in North Wheaton, Illinois is a well established full hair care service salon that offers a full-service salon experience. We offer a complete line of hair service that’s just right for you. Our team specializes in precision hair design, multi-dimensional hair color and highlighting, texture and keratin smoothing treatments as well as makeup and waxing. Complimentary consultations are available to you so that we may better serve your haircare needs. Schedule your appointment today. Copyright © 2019 Mitchell Christopher Salon. All rights reserved. Salon Web Design by StyleNet.